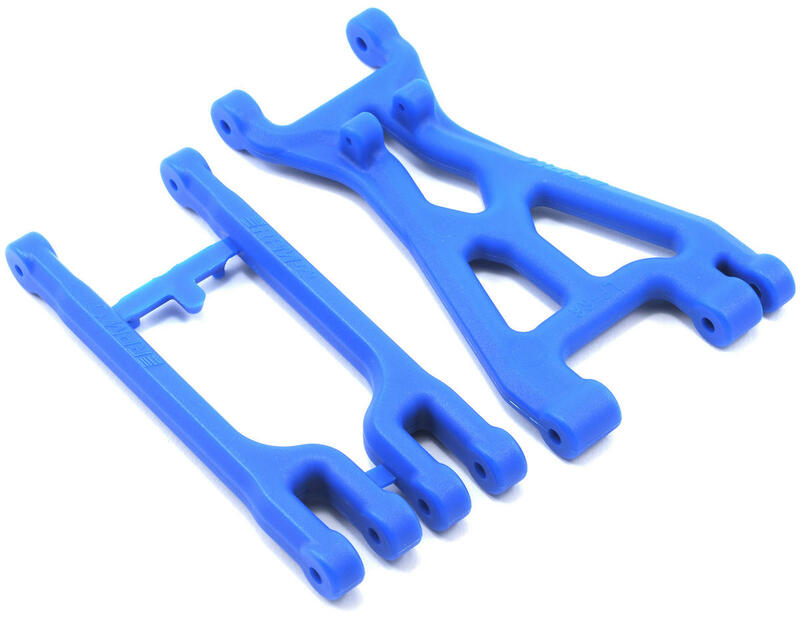 This package includes one lower arm that can be used in the left front or right rear position and two upper A-arms. Two upper A-arms provide the end-user the option of a stock, zero-degree camber angle in a fixed length A-arm, or a negative two-degree camber angle A-arm. 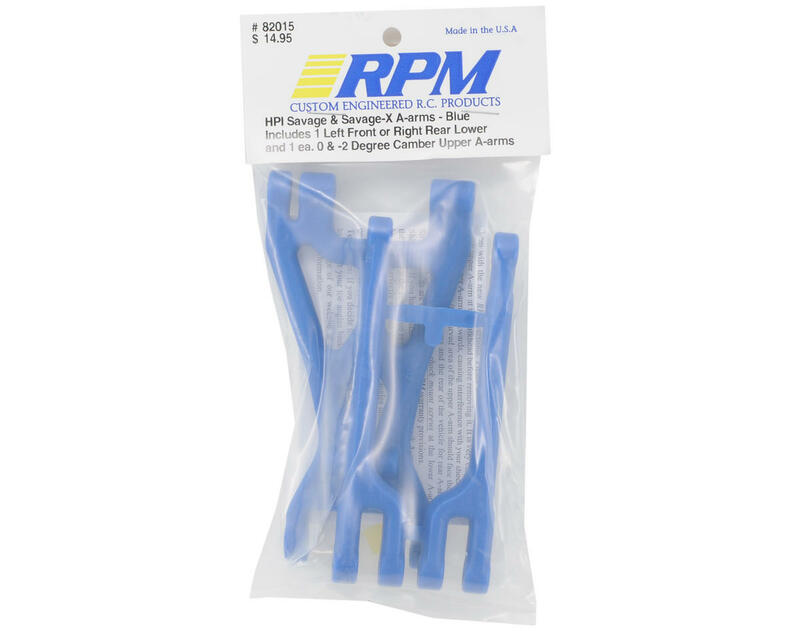 Using fixed length upper A-arms instead of adjustable camber A-arms keeps the weight of the upper A-arms to a minimum while providing the maximum amount of durability you’ve come to expect from RPM parts!